Book a Dog Boarding or Dog Daycare Reservation Now! Book your reservation online or give us a call if you have any questions. BrownDog Lodge is the premier luxury dog hotel in the Memphis and Germantown communities! Call us to schedule! Need a place to take your dog while you're at work? Drop him off at our daycare where he can have a safe, fun play day. Our spa services range from bathing or nail clipping to full groom hair styling or even a relaxing massage. Call us to schedule an appointment! Thank you for visiting BrownDog Lodge! 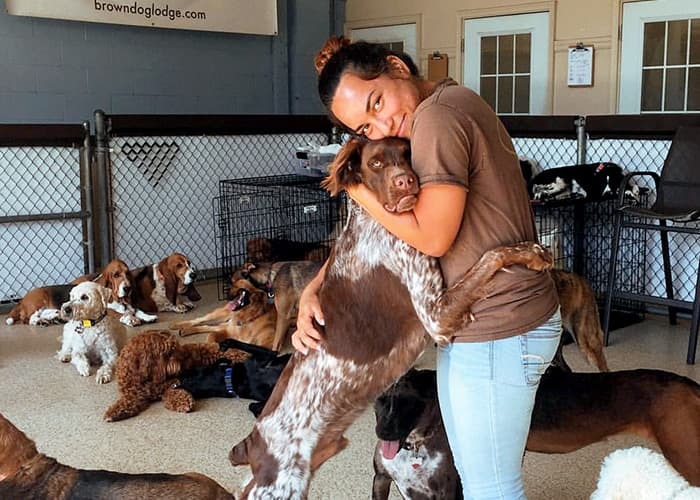 As dog owners ourselves we have always sought the finest accommodations and personal attention for our dogs whether just for daily daycare or overnight stay while we go out of town. We also wanted a relaxing spa experience for our dogs rather than a quick “haircut”. We wanted all of this in a convenient location too! 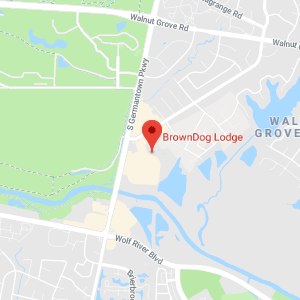 With that in mind, BrownDog Lodge was born in 2007. We opened our second location further east to serve our growing customer interest. Our original East Memphis lodge and Germantown lodge are conveniently located to serve our loyal customers throughout the city. We offer your dog the best accommodations and personal attention for daycare, overnight stays and spa treatments where your dog is always a VIP. We also feature a wide variety of toys, treats and accessories in our retail boutique. If your schedule is too busy, we will gladly pick up and drop off your dog at your house in our BrownDog Shuttle. 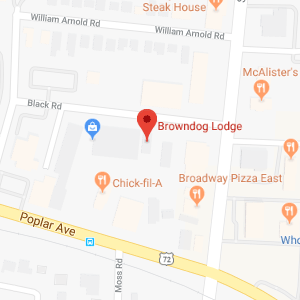 So, please call or stop by to visit either one of our two locations and learn more about BrownDog Lodge. We look forward to seeing you soon! © 2019 BrownDog Lodge. All Rights Reserved.